So true story, I'm awful at gift giving. But with these tips from today's guest post I am much more likely to get my husband something other than... email me what you want and I'll order it items lol! Gift-giving is not always as easy as you think. Think back to the last time you had to buy a birthday present or anniversary gift, and you simply couldn’t find the perfect item to buy even after searching for hours. After all, you want it to be special, and will settle for nothing less. The next time you are in a rut and can’t decide what you should purchase, regardless of the occasion, here are four ideas that are transferable for both men and women. First, who doesn’t need clothes? Consider looking for an item that is hobby related, purchase something that is engraved and lastly keep an eye out for practical items. No matter the season, people often purchase a few new garment additions for their closet. The trick is to simply make sure that the item is stylish, fits the physique and matches the individual’s personality. For instance, if you are shopping for the woman in your life, be that a friend or spouse, there are plenty of boutiques that tailor clothes to flatter different body types, with one example being a curvy plus size boutique, such as Perfectly Priscilla. The same goes for when you are shopping for men – and remember that accessories can be just as well received. Imagine his face when you buy him a beautiful new tie or cufflinks, especially if a fancy event is coming up. When you are buying a gift, you must always consider the person you are buying it for. In particular, what are his or her hobbies? If he is a fan of hunting, for instance, you should look for closeout hunting gear, or in other words, performance equipment, camouflage, fleece and so on. Whether their interest is sports, music, photography, drawing, painting, traveling, coin collecting or something else, remember to purchase something accordingly. You are guaranteed they will use your gift! Have you thought about engraving the item you purchase? This will make the it truly personalized, and shows the individual that he or she is one of a kind. Common examples for this type of gift includes watches, necklaces, rings, mugs, photo frames, among others. No one else will have anything like it anywhere in the world. The fourth and last option includes useful gifts. This often isn’t thought about as much as it should be. After all, why not purchase something you can guarantee will be used, and you are saving that person money by purchasing it for them? A good example is cleaning supplies, whether it’s for the home or the car. Why not get a luggage tag or a pair of house slippers? Perhaps even an umbrella? As always, know who you are buying it for and make sure that they will appreciate practical gifts, but this is almost always a good idea for those that are particularly hard to shop for. 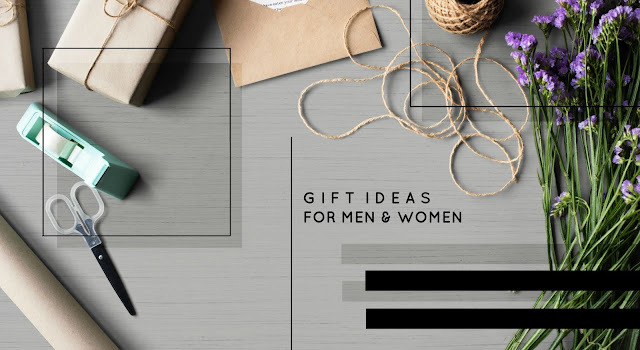 The most important part of gift-giving is to consider the person you are celebrating, whether male or female, and what their likes and dislikes are. Perhaps they have even dropped hints over some time about what they are keen on receiving. Still, when in doubt, opt for a gift that will make their life easier.